We needed to find the humble, the insignificant, and the everyday on which to hang and be reconciled with our smallness. But before this could become spiritual essence, tourism came along, and the industrialization of picturesqueness commenced. This is yet another reason why he would have preferred not to become famous with the song Never on Sunday, and here again he is politic. It wasn’t just that winning an Oscar identified him with a genre of music that he considered inferior, but that it boosted the country’s touristic image, which he considered as secondary to its deeper nature. In fact he didn’t deny that he was partly responsible for this. The success of Six Folklore Paintings awakened dealers, variety shows, puny musicians, tourism, and the impelling “Greek passion” of our internationally famous personalities, then came the film Never on Sunday that gave the finishing blow to what was a folk song. 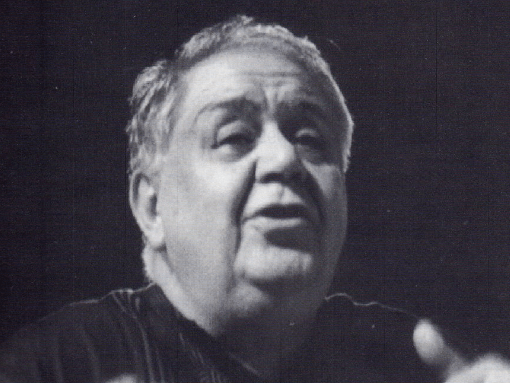 Hadjidakis had no qualms about selling the copyright of Never on Sunday. He merely turned to advantage his sudden fame and devoted himself to a poetic internationalism, thus establishing inside him a most creative cosmopolitanism. The junta found him putting on with Melina Mercouri and Jules Dassin Illya Darling. He didn’t take advantage of the “coincidence”, on the contrary he brought us down to earth at every opportunity. I lived there for about six years, the years of dictatorship, for purely tax reasons. They discovered that I owed the Inland Revenue approximately 3.5 million drachmas. When I settled my debt, I returned around 1972, he admits. However, on other occasions, he isn’t so cynical. I was a world traveler, from California to Rome, in self-exile for tax reasons but with a perfervid passion to meet new faces of different languages and descent. The details, you see, are far more poetic than the times we lived in under dictatorial duress. I’m afraid of neither my country nor its government, nor do I consider myself an exile. Even if Karamanlis were in power, I’d be exactly where I’m now. Please understand that I can’t continue in Athens…Time has come for me to match my Greek essence with the worldly present as it now exists, rather than go on repeating the “picturesque” elements of my “genius”…I’m not living in America as an adventurer or a tourist. I’m living as a time-honoured Greek, however funny this term may now sound. Nevertheless, this attitude didn’t last very long. Two years later, in April 1970, his letters are in a different strain. I’ve decided not to set foot again in Greece as long as those rogues are in power, he announces to Minos Argyrakis. Each new day exposes an even more nightmarish reality, which those “gentlemen” inflict unchecked. Trials, sentences imposed, events in Cyprus, their utter immorality, have driven me to despair about the future of our country. …I’ll rest only when I see them strung up in Constitution Square, the present authorities and leaders, we read in an also unpublished letter to Alexandros Lykourezos. Not only Papadopoulos & Co., but all that anonymous vermin as well, who for years now and in all situations have actually ruled the country. That’s why I’m not one for changes foredoomed to failure. That’s why I’ve always been against “progressive” movements. The state could never function with progressive governments, being composed of the fuzz. With Papadopoulos it found its identity. A grand opportunity, the only one, to be uprooted. Melina Mercouri, who fought tooth and nail against the dictatorship, never forgave Hadjidakis’ stance. That’s why for a time, he recalls, there was acute friction between us; but in 1970, in Paris, Melina let bygones be bygones, and we made up over a sumptuous dinner at her home. Hadjidakis returned to Greece two years later, before the actual fall of the dictatorship. As a panelist at the Thessaloniki Film Festival, he was responsible, along with other free voices, for the screening of Days of ‘36 by Theodoros Angelopoulos without outside interventions. In 1972, the Third International was played in an auditorium packed with policemen. That same year, however, his friends were shocked, seeing him photographed with Makarezos. How did he fall into the “trap” of shaking hands with a minister of the junta? Maria Farandouri, who at the time was living in self-imposed exile in Florence, recalls: “Manos told me that he had visited this particular department to see about his tax debt, and also to request that I be allowed to come to Greece for one day to attend my father’s funeral without being arrested. Something he managed to pull off.” And where does Makarezos come in? The composer told friends later that Makarezos happened to be in an adjoining office, and on the occasion, when he requested that they be photographed together, Hadjidakis didn’t object. Hadjidakis never divulged in public the “extra reason” that forced him to be photographed with Makarezos.